The minimum deposit to qualify for the bonus offer is £30. Deposit £30 with the code EASTER and get 15 FS on Sugar Train + 5 FS on Fruit Basket. Win £300 and get 15 FS. Here, you need to deposit a minimum amount of £20 and use the promo code TICKET on each deposit. This promotion runs from every Friday to Sunday and to claim it; you should have previously deposited real money with Wink Slots. You must, however, bear in mind that the promo code is valid for use a maximum of 10 times during the period in which the promotion is active (Friday to Sunday). Still on the restrictions, you cannot receive more than 220 free spins with this offer. The free spins can only be used in the games listed above and are only valid for 7 days. Finally, to access your winnings from the deal, you must first wager the bonus amount 30 times. This promotion gives you the chance to win 100 free spins every Wednesday. All you need to do is to deposit £20 and use the promo code WEDNESDAY. This promo code may be used as many times as possible every Wednesday. The minimum deposit and use of the promo code should earn you a free spin on the Big Wins Day wheel. The good thing about this promotion is you are given a chance to make numerous deposits to earn extra spins. Before claiming a follow-up the offer in this deal, you should, however, have first exhausted the other spins you had prior to making your subsequent deposit. And by the way, the spins on the Big Wins Day wheel could even earn you more free spins all which will be valid for 7 days. Remember that these free spins may only be used for limited slots which include; White Wizard Deluxe, Stampede, Kingdom of cash, Irish Luck and Gems Odyssey. As for the wagering requirements, you must wager the bonus amount you receive 30 times. Unlimited deposit bonuses every Monday offer you a chance to win deposit bonuses on every Monday of the week. As the name of the offer suggests, this offer is only valid on Mondays. To claim it, you first need to deposit a minimum amount of £20 and use the bonus code MONDAY. Bear in mind that this promotion is only valid for members who have shown a consistency of maintaining their Wink slots account. Depositing the minimum amount required and using the code should earn you one spin in Monday’s Reel deal slot. Unlike other offers, this offer is only valid until the next day, so it should be used fast. Your use of the free spin on Monday’s Reel deal slot may offer you a number of prizes which may include free spins and instant game bonuses (both fixed and percentages). The odds of winning each of the prizes listed above vary. If you happen to get the free spins, you may only use them in specific games such as Kingdom of Cash, White Wizard Deluxe, Irish Luck, 99 Time and Black Widow among others. These free spins are valid for up to 7 days, and the wagering requirements for instant games bonus are 30 times the bonus amount that you receive. This is a challenge that’s up for grabs on a daily basis at Wink Slots. You stand a chance of winning jackpot spins, free spins, games bonuses or real cash. Of course, you have to be a registered member of Wink Slots, and you must also have previously deposited real money in the lobby. To participate in this promotion, you do need to constantly check your inbox each day because the challenge will keep on changing from day to day. The minimum amount you will receive from the game bonus is £1 with the maximum amount capped at £10. As for the free spins, you can land on anything from just 5 free spins or as much as 20 free spins while for the jackpot spins; you can only receive 5 of them. The wagering requirements for this offer dictate that you must wager 30 times the bonus amount and you have to claim all these prizes within 7 days, or you will lose them. The free spins you receive here are only valid for; Sugar Train, Gems Odyssey, Stampede, Fluffy favourites and Beat the Bobbies. The jackpot spins under this promotion are only valid for Gods of Gold and the Rise of the Pharaohs. For all the prizes mentioned above, make sure that you claim your winnings within 7 days. Wink Slots’ first deposit offer will see you win up to 500 free spins, but you need first to have a minimum deposit of £20. These spins, just like in the Genie’s lamp bonus offer, are available in Wink slots’ top game, the Kingdom of Cash and the free spins are only available for use within 7 days. When you have exhausted your free spins, the total points you get will be converted to game bonus points, with 100 points being equivalent to £1. You are required to wager the bonus amount 30 times in order to access your free spins. This wagering requirements, also apply in terms of the conversion of your points to the game bonus. After complying with the wagering requirements, your account will be credited. You will then be free to withdraw your funds at a time of your convenience. The wagering requirements demand that you must first wager 30 times the amount of the bonus money before you gain access to your winnings. The promotion also requires that you claim your winnings within 7 days. 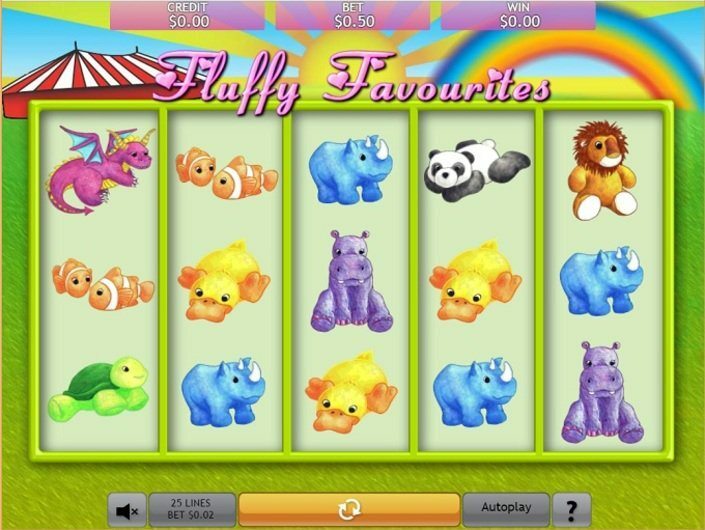 The free spins are only restricted to particular games which include; Beat the Bobbies, Sugar Train, Gems Odyssey, Stampede and Fluffy Favourites. Once you have depleted all your free spins, the total points you accumulated in the course of your play will be converted to instant game bonus points with 100 points being equivalent to £1. As for the jackpot spins, they are exclusively available for Gods of Gold and the Rise of the Pharaohs games. In this Wink slots casino review, we would mostly be talking about Wink slots casino UK is powered by 888 Holdings and it was established in 2016. This online casino is part of a number of online gambling platforms owned by 888 Holdings. Basically, 888 Holdings is a subsidiary of Cassava Enterprises. Wink slots online casino is basically run from Gibraltar and registered with Gibraltar Gambling Commission. This online casino is also registered with UK Gambling Commission which means that all your activities on this platform are covered legally, and you don’t have to worry about security or legitimacy. All the slots present on this platform are tested for fairness by eCOGRA, which is one of the well-known independent organizations for checking the fairness of online gambling websites. As this online gambling platform desires to deliver slots for gamblers all around the world, so the collection of slots is quite huge. There are a number of slots from different global slot developers present on the Wink slots casino website. 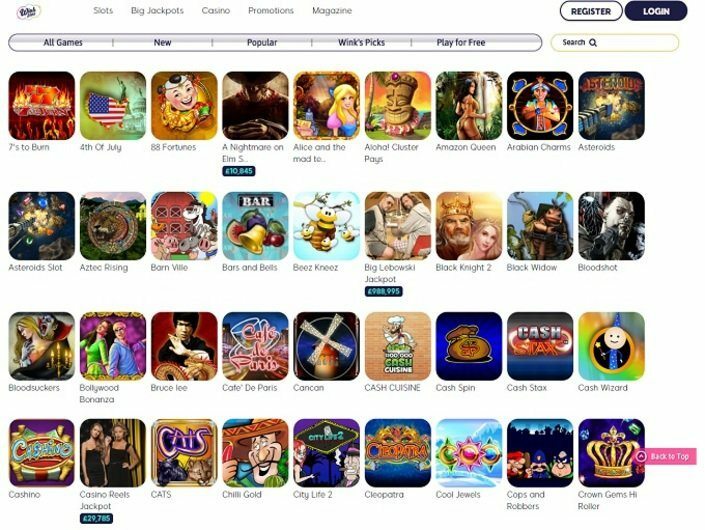 The software providers include Dragonfish, Evolution Gaming, WMS, Lightning Box, Eyecon Gaming, IGT, and Net Entertainment. Not only you can access the Wink slots mobile casino online, but you can also get the Wink slots app. If you want to access Wink Slots casino UK through your mobile. It doesn’t matter whether you have an iPhone, and Android, or a Blackberry phone because there are different applications for all kinds of smartphones. 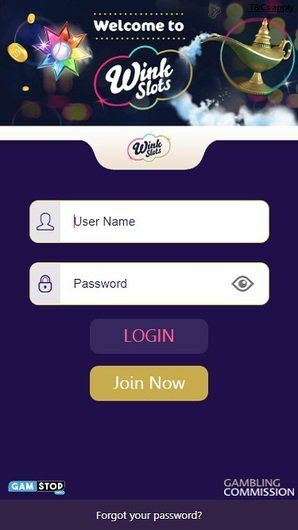 The Wink slots desktop site is really easy to use, and even if you are accessing the website through your cell phone, you won’t be able to find any difference which is quite an achievement for the platform. All you need to do in order to start playing is creating your account by giving your email and password for signing up and then using Wink Slots Login to enjoy the complete game collection. You get to enjoy different kinds of blackjack and progressive jackpot slots that keep you connected with the platform, and you would love to explore more as different options are added after a few days. One of the biggest advantages this casino has over other competitors is the number of slots being available on it for the players. You have quite a big list to choose from which attracts more and more users every day towards this casino. There are more than 200 slots available which include classic 5 reel slots, retro classics, progressive jackpots, instant slots, blackjack, and poker games. The moment you click on the “slots” options on the top tier of the screen you get to discover a whole new screen filled with various slots based on different themes. 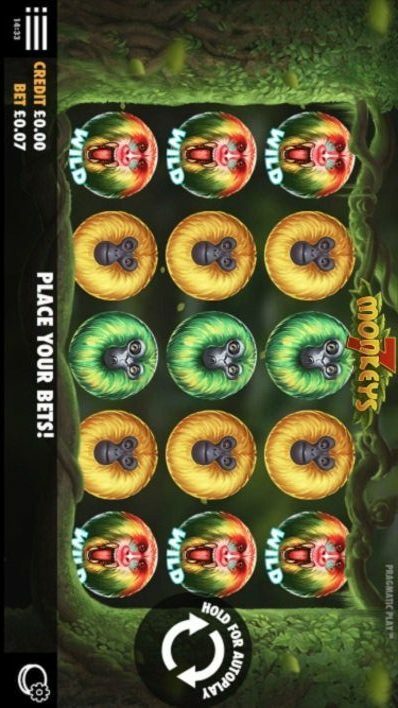 These slots include everything from classic 5 reel slots to blackjack, and from retro slots to modern ones. You can also search for your favorite games with the help of a search bar. There are different options available in order to make the process easier for you. You can get to know about the new games as well as let the website decide which slots would be best for you. There are also a number of slots which can be played for free and you can decide after playing whether you want to spend your money on them or not. If you are interested in slots with big jackpots, you have a whole section dedicated to these kinds of games on this website. The options are a lot less as compared to the simple slots, but still, the number of these slots are more than enough. Most of the online casinos don’t have even 5 or 6 of such jackpots slots, but here you can find more than 25 of such slots. All of these games are based on different themes so that you can have a taste of various themes and gaming conditions instead of getting bored by the same kind of gambling games. Live casinos are one of the main attraction of this online gambling casino because you can find plenty of them here. Live casinos help you to play with real players in real time and enjoy a similar experience to an on-ground casino. It is possible to play baccarat, blackjack, roulette, American roulette, and poker on Wink slots live casino. 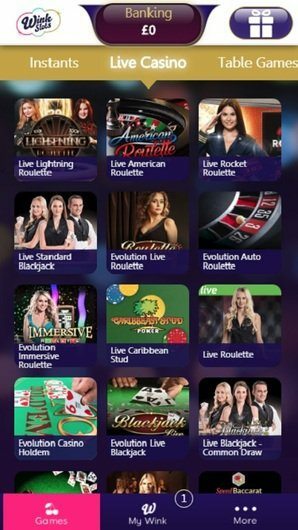 It would be really difficult to find the diversity in live casinos available on this website as compared to most of the other casinos online. If you are interested in table games, Wink slots casino is definitely the right place for you. There is a collection of a number of table games that include roulette, blackjack, baccarat, keno, and American roulette. All the games are different from each other by providing you with a diverse experience. When it comes to creating an account on the platform Wink slots sign up is extremely easy. Once you have signed up, you can easily go to Wink slots casino sign in and after entering your credentials you can start playing. It is possible to play for free in a number of slots, but you cannot win real money if you aren’t spending real money. You have to deposit real money in your account and wager it if you want to win real money. There are 3 different currencies which are acceptable at this platform. These currencies include US dollar, UK pound sterling, and euro. As most of the countries in the world offer the transaction option in one of these currencies, so it is easier for the global community to enjoy gambling on this platform. Although there are 3 restricted countries including United States of America, Israel, and Turkey but residents of all the other countries in the world can access this online casino and have a great experience. The minimum deposit you can make on Wink slots casino is 10 pounds a day, and the maximum limit is 1,000 pounds per day. The maximum weekly deposit amount is 3,000 pounds per week, and the maximum monthly deposit is 5,000 pounds per month. There is a maximum daily payout of 1,000 pounds per day, a weekly maximum payout of 2,000 pounds per week, and monthly maximum payout of 3,000 pounds per month. Genie’s Lamp: Genie’s lamp is a magical lamp in folk stories which needs to be rubbed, and you get to fulfill your 3 desires with the help of it. In this casino, it is a bonus for the new customer who has just created an account. The moment they get to Wink slots log in they can easily claim a chance to rub the genie’s lamp and win free spins as well as jackpots. 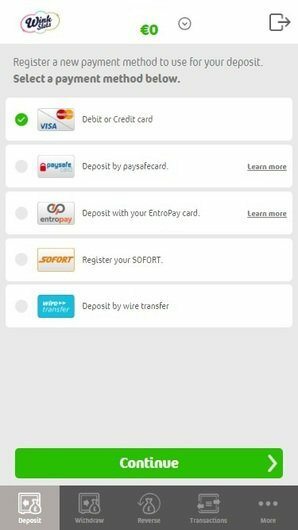 Spin the Wheel: This option is available on your first deposit to your online account on the platform. You can win up to 500 free spins after depositing 20 pounds as your first deposit. Wink’s Oktoberfest: You have to play more than 3 times on the platform with a deposit of up to 20 pounds with the code “FEST” in order to win the chance to win in every game you play. Monday’s Real Deal: Get a guaranteed win on every game you play on Monday if you use the code “Monday”. So you would be winning money in every game you would be playing no matter how many games you play on one particular day. Big Wins Day: On every Wednesday get a chance to make extra winning streaks by using the code “Wednesday”. First Deposit Bonus: There is a bonus of 100% on your first deposit up to 400 pounds along with 50 free spins. Second Deposit Bonus: There is a bonus of 50% on a second deposit up to 100 pounds. Third Deposit Bonus: There is a bonus of 50% on a third deposit up to 100 pounds. 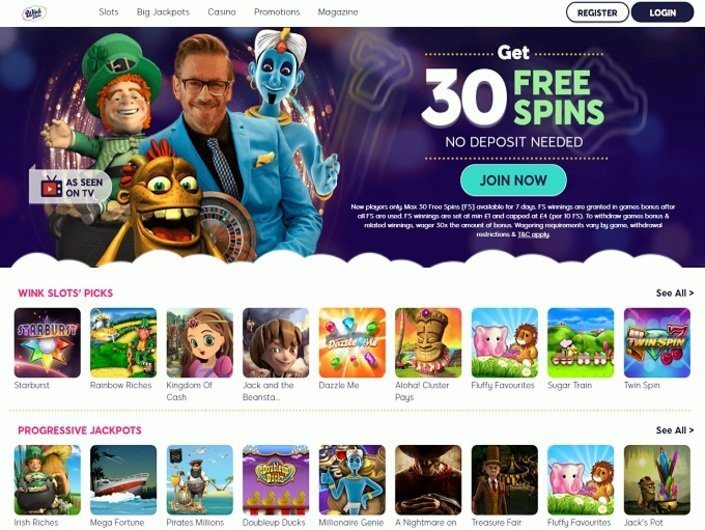 No Deposit Bonus: You just have to create an account, and you can avail 30 free spins without depositing anything. You can also win with the help of these free spins, but you need to wager the money you’ve won for a particular number of times before withdrawing your winnings. There is a special mobile version of the website for the mobile and tablet users.  There is no difference between the website being accessible to desktop users as well as the mobile users. In addition to this, mobile users can also install android or iOS application of the platform to enjoy an enhanced gambling experience. As these applications are created according to your software specifications whether you have an Android or an iPhone so you can get better graphics and control on your mobile phones. The application can easily be downloaded from App Store or Google Play Store. The platform supports the English language as it is spoken almost all around the globe. People can easily understand the language as you don’t need to understand a lot in order to operate on the website. The navigation is pretty clear as you just have to click on your preferred game from the list and start playing it. The graphics of the game would help you even if you don’t understand the language. There are different methods to get help from the customer service representatives on the online casino. You would be provided with all the help you need 24/7 a week. 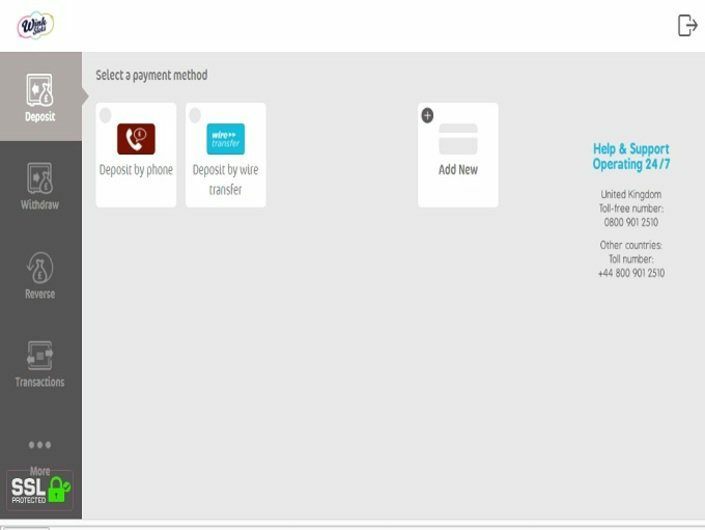 There is a live help option if you need instant help and you should not look for other options if you are in a hurry. Although the fastest option to get the attention of a customer service representative in Wink slots casino live chat you can also use the telephone to contact the support staff. This is the telephone number 0800 018 3307 you need to keep in your mind. You can also email if your problem is not being solved on a live chat or a call. The average response time to customers’ emails is 4 hours so don’t panic if you have to wait for few hours in order to receive a reply. Q1. Is Wink slots casino safe? Answer: Yes, all the payments done on the platform are encrypted, and your details are not shared with any third party which makes the whole gambling process on this platform really safe. Q2. Is Wink slots casino legit? Answer: Wink slots casino is trustworthy and part of 88 Holdings which is a big name in the gambling market. It has a license from 3 different gambling authorities, and it is under the jurisdiction of all of these authorities so that it follows all the rules and regulations. You don’t have to worry about any kind of scam on this online casino because it is a legitimate gambling platform. Q3. Wink slots casino withdrawal time? Answer: the withdrawal time on this casino is 4 to 7 days. If you are looking for an online casino having a variety of slots as well as multiple live casino options, then Win slots casino is a great option for you. There are plenty of bonuses and rewards available almost every day. The wagering requirements and the terms and conditions are quite clear negating the chances of any confusion. The payout rates are really amazing, and it is a casino that suits both the beginners as well as professionals. You get to enjoy slots from the world’s best slot developers, and there are multiple payment options available for making the whole process easier for the gamblers.